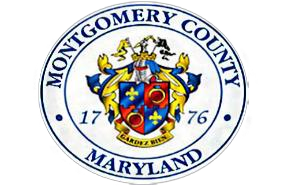 Home to one million residents, Montgomery County is one of Maryland’s most populous areas. Its subsidized transportation system Call ‘N’ Ride serves 5,500 seniors and people with disabilities. Montgomery County needed a way to reduce costs, expand the service, and improve control associated with the Call ‘N’ Ride program, its subsidized transportation service for seniors and individuals with disabilities. Vouchers offered no way of validating the length of trips nor if trips had actually taken place. Vouchers opened up the possibility of fraud among cab companies and program participants. MJM Innovations delivered a full-service, outsourced program called EzTransport to help ensure that costs paid by Montgomery County related to the Call ‘N’ Ride program were for valid trips. The program comprised a variety of services, including day-to-day operations management, swipe card and fare management, financial management, data management, service contract monitoring, customer service, and IT support. Since April 2013, MJM Innovations’ solution has been helping Montgomery County reduce overall costs related to Call ‘N’ Ride substantially as well as reducing the potential for fraud among transportation providers and program participants. The vast savings have earned Montgomery County various accolades and press coverage and, more importantly, have allowed them to add additional participants and expand services to an average of 350 daily trips with the program. PreviousPrevious post:LINCOLN AGING PARTNERS: SIMPLIFYING MANAGEMENT & IMPROVING SERVICE WITH SENIORSTAT™ SENIOR CENTER MANAGEMENT SOFTWARE & CARD TECHNOLOGYNextNext post:5 Top Reasons Why Senior Centers Are Great and How We Make Them Better!